Steve Kazee (born October 30, 1975) is an American actor and singer. He won the 2012 Tony Award for Best Performance by a Leading Actor in a Musical for Once. Steven Michael Kazee was born and raised in Ashland, Kentucky. He is an alumnus of Fairview High School and Morehead State University. Kazee moved to New York City in 2002 and received his MFA from the Graduate Acting Program at NYU's Tisch School of the Arts. In 2006, Kazee played Dumas Shepherd in an episode of the television series Conviction. In 2007, he appeared as Michael Barlow in Medium and Mark Green in Numb3rs. In 2008, he appeared on NCIS as Michael Locke. In 2009, he played Dominic Humphreys on CSI: Crime Scene Investigation. Kazee had a starring role on the CMT's Working Class (2011), in which he played Nick Garrett. In 2013 he appeared on Elementary as Jeff Hines and on Drop Dead Diva as Dustin Wycott. In 2015, he played Gus Pfender in a recurring role in season 5 and 6 of Showtime's series Shameless. On stage, he starred in shows both on- and Off-Broadway and in regional theater. He appeared in the NYSF's As You Like It in June 2005. In 2006, he appeared as Timmy Cleary in The Subject Was Roses, which played at the Kennedy Center from January 7 to 29. He appeared in Seascape on Broadway in November 2005 as the Leslie understudy, and as the replacement Sir Lancelot in Spamalot on Broadway, starting on April 4, 2006. 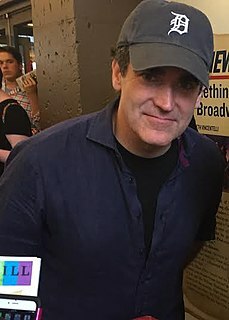 In 2007, he starred as Bill Starbuck in the revival of 110 in the Shade on Broadway, and in 2008, he played Sobinsky in To Be Or Not To Be, which ran from September 16, 2008 through November 16, 2008 at the Samuel J. Friedman Theatre. 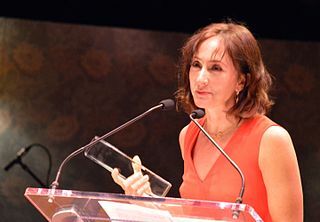 Kazee won the 2012 Tony Award for Best Performance by a Leading Actor in a Musical. 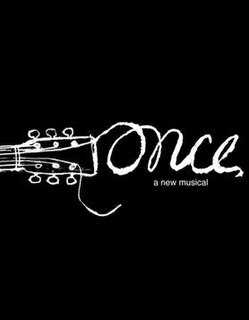 Kazee and the cast of Once won the Grammy for Best Musical Theater Album at the 55th Annual Grammy Awards. He is featured on Christina Perri's song "A Thousand Years, Pt. 2," which appears on The Twilight Saga: Breaking Dawn – Part 2 (Original Motion Picture Soundtrack). 2019 The Walking Dead Frank Episode: "Adaptation"
^ a b "Kazee TV", tvguide.com, retrieved November 23, 2017. ^ Peter, Thomas. "Ed Asner and Steve Kazee to Star in CMT Sitcom", Playbill.com, October 18, 2010. ^ Gioia, Michael. "Tony Winner Steve Kazee Will Guest Star on CBS Drama 'Elementary'", Playbill.com, September 12, 2013. ^ "BWW TV Exclusive: First Look at Tony Winner Steve Kazee on Lifetime's 'Drop Dead Diva'", broadwayworld.com, October 23, 2013. ^ a b Andreeva, Nellie. "Steve Kazee Joins Showtime’s 'Shameless'", deadline.com, May 28, 2014. 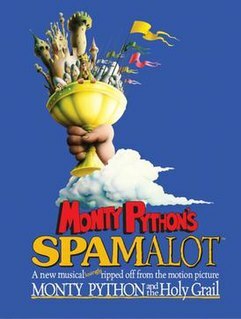 ^ " Spamalot Cast" Playbill, retrieved November 23, 2017. ^ "Greasepaint Can Be Mightier Than Pen or Sword". The New York Times. October 15, 2008. Retrieved December 2, 2016. ^ Jones, Kenneth. "The Leading Men. Steve Kazee, the Traveling Heart of Broadway's 'Once'" Playbill.com, March 17, 2012. ^ "Steve Kazee Videos". www.broadwayworld.com. ^ "Once Cast Album Wins Grammy Award as Best Musical Theater Album - Playbill". Playbill. Retrieved December 2, 2016. ^ "'Twilight' Twice: Christina Perri Explains 'Thousand Years - Part 2", mtv.com, November 12, 2012. ^ "Samantha Barks and Steve Kazee to Walk Down the Street in Broadway's Pretty Woman" broadwayworld.com, September 26, 2017. ^ Clement, Olivia. " 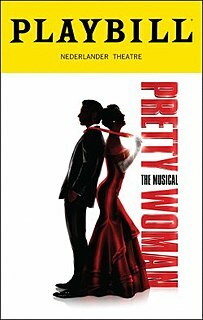 'Pretty Woman' Musical Finds Its Broadway Home, Sets Summer 2018 Opening", Playbill.com, November 21, 2017. Hunter Foster is an American musical theatre actor, singer, librettist, playwright and director. Catherine Elizabeth “Cady” Huffman is an American actress. Megan Kathleen Hilty is an American actress and singer. She rose to prominence for her roles in Broadway musicals, including her performance as Glinda the Good Witch in Wicked, Doralee Rhodes in 9 to 5: The Musical, and her Tony Award-nominated role as Brooke Ashton in Noises Off. She also starred as Ivy Lynn on the musical-drama series Smash, on which she sang the Grammy Award-nominated "Let Me Be Your Star", and portrayed Liz on the sitcom Sean Saves the World. Annaleigh Ashford is an American actress, singer, and dancer. Once is a musical based on the 2007 film of the same name by John Carney. Like the film, music and lyrics were by Glen Hansard and Markéta Irglová, including the Academy Award-winning "Falling Slowly". The book for the musical was written by Enda Walsh. The musical premiered at the New York Theatre Workshop in 2011, before transferring to Broadway in 2012. The production received eleven 2012 Tony Award nominations, and won eight including Best Musical, Best Actor and Best Book. The musical also won the 2012 Drama Desk Award for Outstanding Musical and the 2013 Grammy Award for Best Musical Theater Album. It has since spawned a London production, with a North American Tour which started on 1 October 2013. 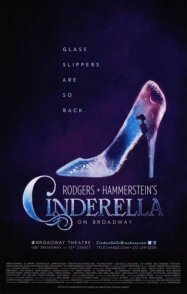 Rodgers + Hammerstein's Cinderella is a musical in two acts with music by Richard Rodgers, lyrics by Oscar Hammerstein II and a book by Douglas Carter Beane based partly on Hammerstein's 1957 book. The story is based upon the fairy tale Cinderella, particularly the French version Cendrillon, ou la Petite Pantoufle de Verre, by Charles Perrault. The story concerns a young woman forced into a life of servitude by her cruel stepmother, who dreams of a better life. With the help of her Fairy Godmother, Cinderella is transformed into an elegant young lady and is able to attend the ball to meet her Prince, but, in this version, she must open the Prince's eyes to the injustice in his kingdom. Hailey Frances Kilgore is an American actress and singer. 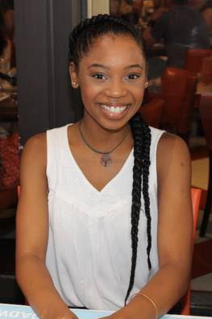 Kilgore is best known for her performance as Ti Moune in the Broadway revival of Once on This Island, a performance for which she was nominated for the 2018 Tony Award for Best Actress in a Musical.